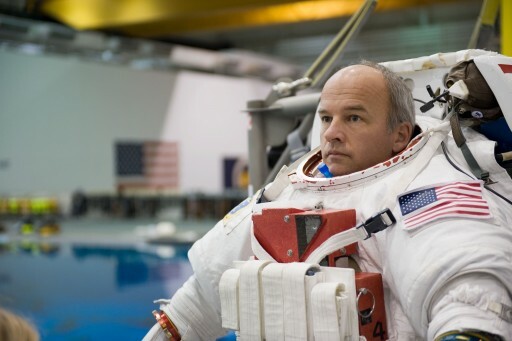 Jeffrey Nels Williams is a retired United States Army officer and veteran NASA Astronaut with three previous space flights on the Space Shuttle, the International Space Station and the Russian Soyuz spacecraft. He will return to the Space Station in 2016 six years after his most recent ISS mission as part of Expedition 22. Born January 18, 1958 in Superior Wisconsin, Williams considers Winter, Wisconsin his hometown and attended high school there, graduating in 1976. Williams received a Bachelor of Science Degree in Applied Science and Engineering from the U.S. Military Academy (USMA) in 1980. As part of his military service, Williams received his commission as a second lieutenant in 1980 and was designated an Aviator in 1981. He completed a three-year assignment in Germany as part of the 3rd Armored Division’s aviation battalion. After returning to the U.S., Williams entered a graduate program, receiving a Master’s in Aeronautical Engineering and the Degree of Aeronautical Engineer from the U.S. Naval Postgraduate School, both awarded in 1987. Williams was selected for an Army assignment at the Johnson Space Center in Houston, supporting the Space Shuttle program as a launch and landing operations engineer, pilot in the Shuttle Avionics Integration Laboratory and chief of the Operations Development Office. Starting in 1992, Williams enrolled at Naval Test Pilot School and subsequently served as a test pilot and Flight Test Division Chief at Edwards Air Force Base. Williams also holds a Master of Arts Degree in National Security and Strategic Studies he received in 1996 as well as a honorary Doctorate of Business Administration from Johnson and Wales University in 2007. Over the course of his 27-year military career, Jeff Williams logged around 3,000 hours on 50 different aircraft and received a number of special honors. 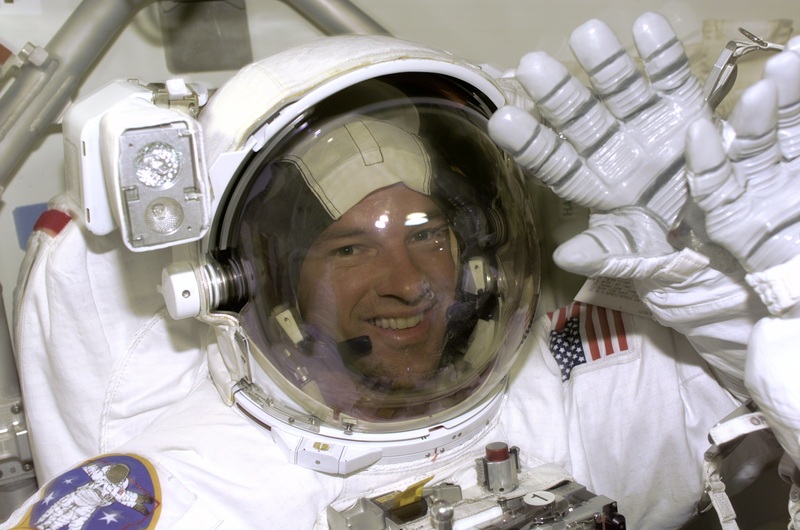 Williams was selected as an Astronaut as part of NASA’s 1996 class and completed two years of general training and evaluation. Afterwards, he performed various duties within the Astronaut Office in support of the Space Shuttle and Space Station Programs. 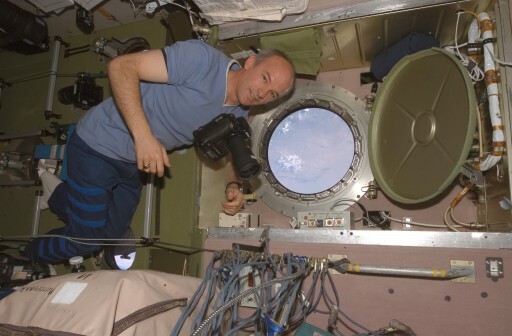 He worked in the Extra-Vehicular Activity, ISS and Soyuz Branches, led the development of cockpit upgrades on the Shuttle in the early 2000s and completed a temporary assignment at the Marshall Spaceflight Center for the evaluation of the Destiny Module of the Space Station. He also worked at NASA Headquarters where he was involved in legislative affairs. 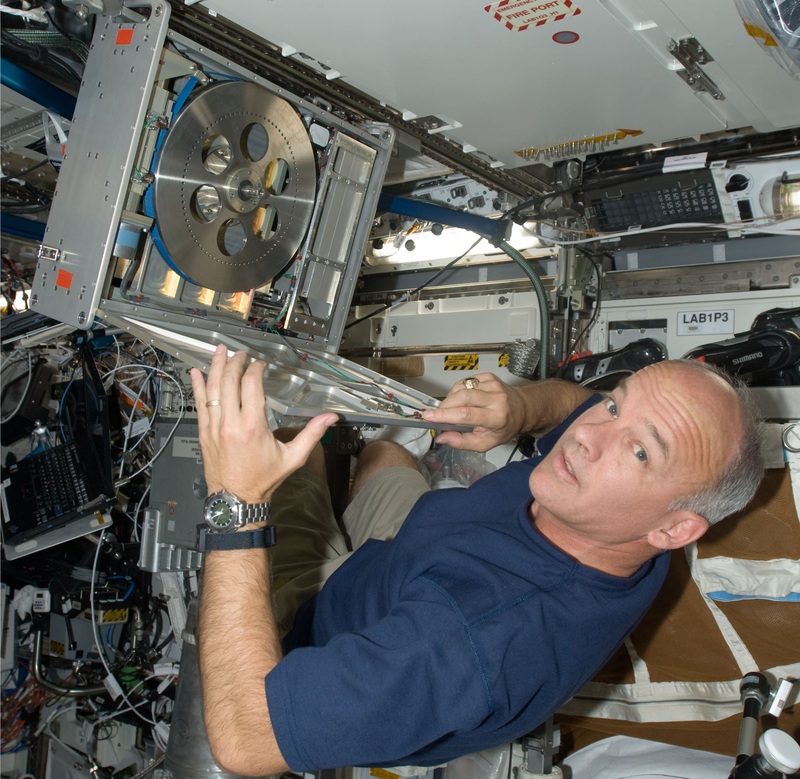 Jeff Williams received his first flight assignment in November 1998 when he was assigned a spot on the STS-101 flight as a Mission Specialist, entering one and a half years of flight-specific training for the assembly mission to ISS. Space Shuttle Atlantis lifted off on May 19, 2000 and linked up with ISS two days after launch. 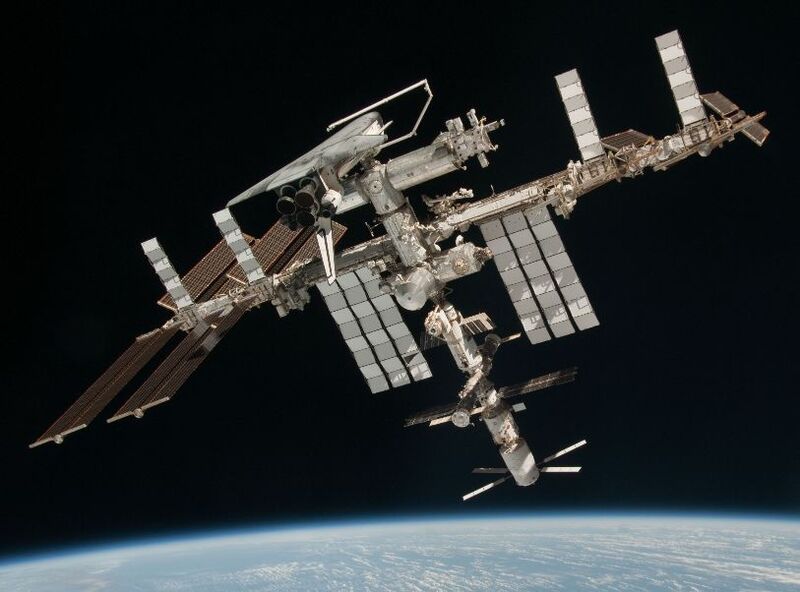 The mission occurred early in the ISS program when the Station consisted only of the Zarya and Node 1 Modules joined by Pressurized Mating Adapter 1. Atlantis delivered to ISS several tons of internal equipment via a Spacehab module installed in the Shuttle’s payload bay and the primary objective of the mission was outfitting the interior of ISS with a number of systems such as lighting fixtures, fire extinguishers, air ducts, electronics, radio equipment and a range of other components. Williams, together with James Voss, completed a 6-hour and 44-minute EVA, outfitting the exterior of the early Space Station. Atlantis and its crew of seven made a safe return to Earth after a mission of nine days and 21 hours. Following his return to Earth, Williams entered specific training for a mission to the Space Station, first serving as a backup crew member for Expedition 12 before upgrading to a prime crew spot for Increment 13. Ahead of flying to space again, Williams participated in the NEEMO-3 mission aboard the Aquarius Underwater Laboratory off the coast of Florida as part of a six-day mission, serving as a pathfinder for future crew missions to the Moon, Mars and Asteroids. Williams lifted off on his second space flight on Soyuz TMA-8 on March 30, 2006 with Soyuz commander Pavel Vinogradov and Spaceflight Participant Marcos Pontes who landed a few days later on the Soyuz TMA-7 spacecraft. The first three months of Expedition 13 saw ISS only staffed by a crew of two with Vinogradov tending to tasks on the Russian Segment and Williams tasked with outfitting on the U.S. Segment as well as supporting a busy science program. ISS welcomed the Progress M-56 resupply craft before Vinogradov and Williams geared up for a spacewalk using the Russian Orlan space suits for a six-and-a-half hour excursion in the night of June ½ for the replacement of an exhaust port of the Russian Elektron Oxygen generation system, the retrieval of external experiment payloads and the replacement of a defective camera on the Mobile Base System. The two crew members welcomed Space Shuttle Discovery in July, bringing Thomas Reiter to ISS for his long-duration stint and also delivering a wealth of internal cargo via the Multi Purpose Logistics Module and external components facilitated on an Integrated Cargo Carrier. 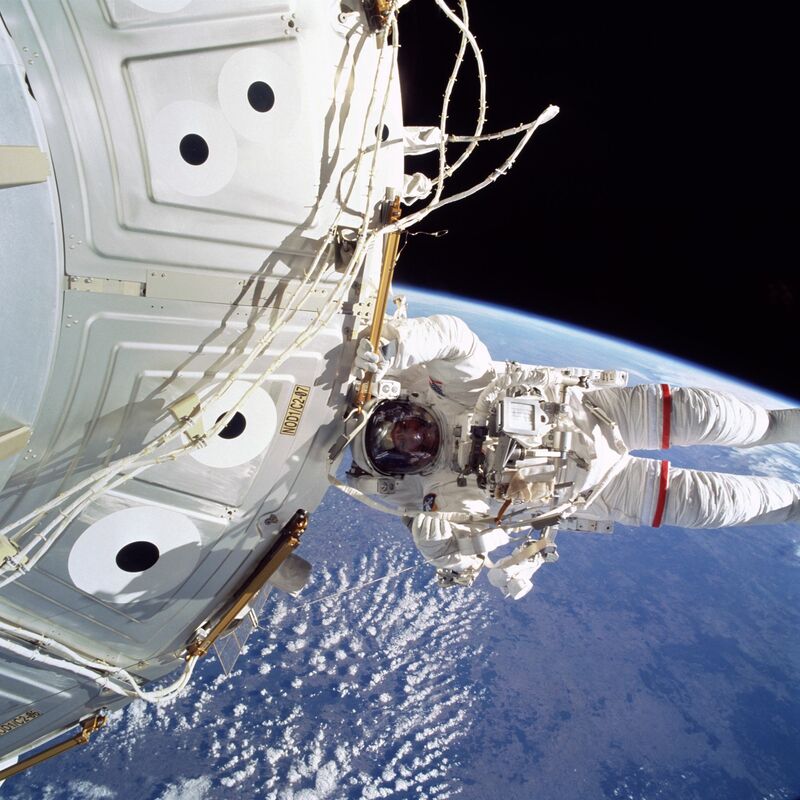 The mission featured three spacewalks conducted by the Shuttle crew to support the ongoing ISS assembly efforts. Discovery departed ISS after a stay of over eight days and landed on July 17, closing out a successful mission. Aboard ISS, now staffed by a crew of three, operations continued at a fast pace. Jeff Williams and Thomas Reiter ventured outside on August 3 for a spacewalk lasting nearly six hours, dedicated to the installation of a Potential Measurement Unit, a pair of MISSE materials science experiments and external lights. ISS was visited by Space Shuttle Atlantis in September, delivering the P3/P4 Truss Segment along with the next solar array wing. Three EVAs were performed to install the new truss segment and internal supplies were transferred from the Shuttle to ISS before Atlantis departed after a stay of six days. Some excitement emerged towards the end of the Expedition when the Elektron device overheated and released potassium hydroxide, requiring the crew to wear protective gear while fixing the oxygen generator. 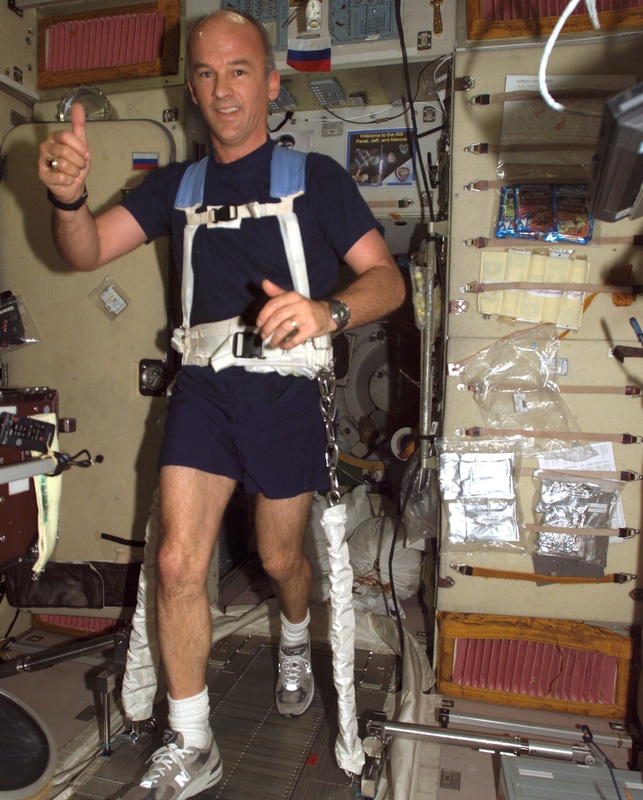 Williams and Vinogradov, along with Spaceflight Participant Anousheh Ansari, departed ISS after handing over to the Expedition 14 crew and made a safe landing on September 29, 2006 after a mission of 182 days, 22 hours and 43 minutes. Williams returned to the Johnson Space Center for post-flight operations and re-started ISS-related support operations. He was assigned to the Expedition 19 backup crew and received qualifications to fly on the Soyuz TMA spacecraft as a flight engineer. In September 2008, Williams was confirmed as a crew member of ISS Expedition 21, marking the start of a yearlong training run. Training for the TMA-16 mission, Williams was joined by his commander Maksim Suraev for Soyuz flight testing in March 2009. In September, the team was joined by Guy Laliberte for final pre-flight tests which were completed with excellent results by all three of them. Suraev launched with Williams and Laliberte on Soyuz TMA-16 atop a Soyuz FG rocket on September 30, 2009. Arriving at ISS two days later, the crew members joined Frank DeWinne, Roman Romanenko, Robert Thirsk and Nicole Stott completing the Expedition 21 crew. Briefly overlapping with the Soyuz TMA-14 crew, Laliberte spend ten days in space, returning with Gennady Padalka and Mike Barrat in October 2009. In November, ISS was visited by Space Shuttle Atlantis performing the STS-129 mission. Atlantis delivered Express Logistics Carriers 1 and 2 to the Station along with an S-band Antenna Sub-Assembly. Three EVAs were performed before Atlantis undocked taking Nicole Stott back to Earth as part of the final crew rotation performed by the shuttle. Expedition 21 continued until November 2009 when DeWinne, Romanenko and Thirsk departed the Station. Only Williams and Suraev remained aboard ISS being the last time that only two people were manning the Station. 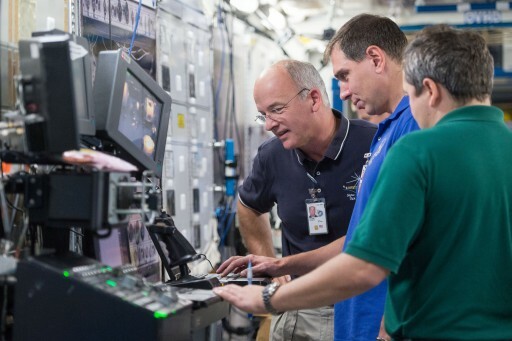 They were joined by Oleg Kotov, Soichi Noguchi and Timothy Creamer in December to top up the Expedition 22 crew. In January 2010, Suraev and Kotov performed a 5-hour 44-minute EVA to complete the integration of Mini Research Module 2. Space Shuttle Endeavour visited ISS in February as part of the STS-130 mission that delivered the Tranquility Node Module and the Cupola that were installed aboard ISS and outfitted as part of three spacewalks. Returning to Earth on March 18, 2010, Suraev and Williams had one empty seat inside their Soyuz which remains the last time this has occurred. The mission had a duration of 169 days and 4 hours. 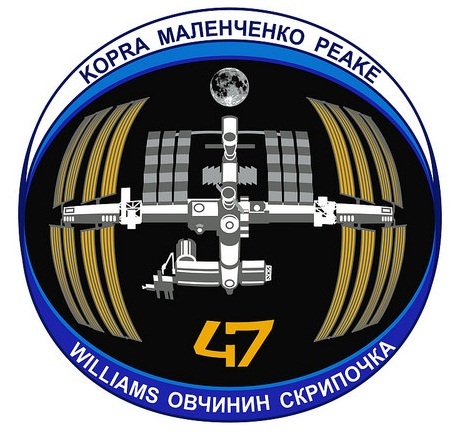 Jeff Williams was assigned to the prime crew of Expedition 47/48 in January 2014 and trained as a backup for Scott Kelly’s one-year flight spanning from Expedition 43 to 46. Joined by Cosmonauts Oleg Skirpochka and Alexey Ovchinin, Williams completed training for emergency Soyuz landings in winter conditions. By February 2015, Williams was cleared for flight by the Russian Medical Board and in March, he completed Soyuz TMA training with Ovchinin and Sergei Volkov as part of his backup assignment on Soyuz TMA-16M. 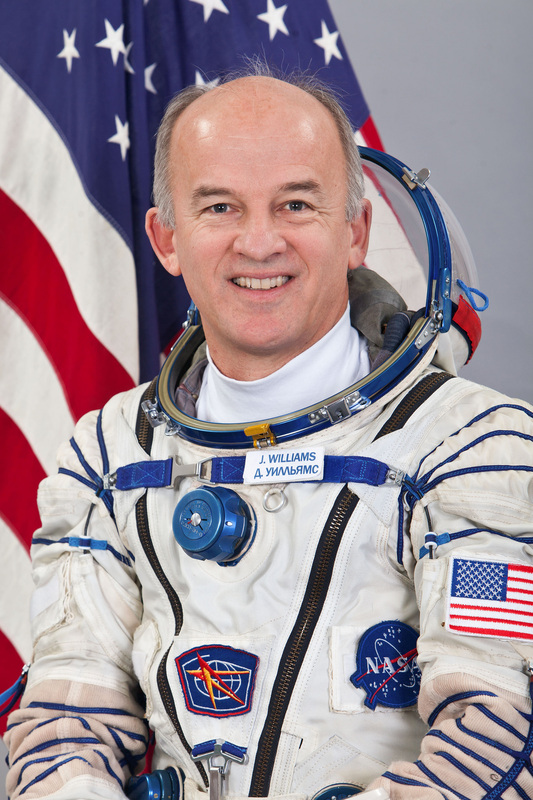 For the rest of 2015, Williams participated in training operations at the various partner agencies to prepare for his prime crew assignment, leading up to final ISS and Soyuz training in Russia before departing for the Baikonur Cosmodrome for launch aboard Soyuz TMA-20M, the final TMA-M version of the Soyuz to be succeeded by the improved Soyuz MS starting later in 2016. 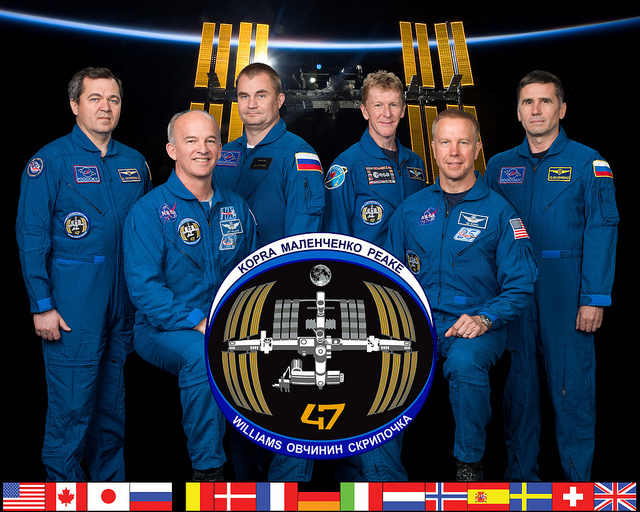 As part of Expedition 47, Williams will serve as a Flight Engineer before assuming command of ISS for Expedition 48. Over the course of his career, Jeff Williams spent 362 days in space and logged over 19 hours of EVA time on three spacewalks.